Li Wei’s work is anything but cautious or wary. In fact, it can be described as peculiar or quirky, depending on your perception of life. 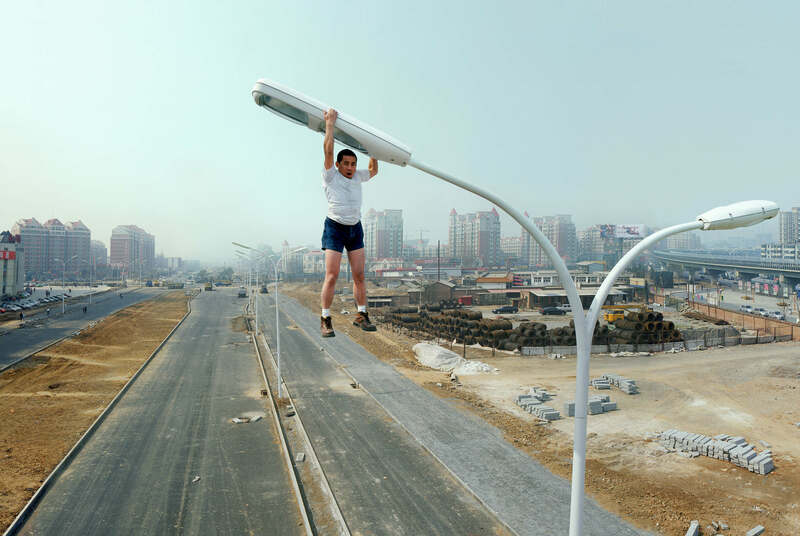 Characterized by bodies that are often positioned in near impossible angles such as buried in windscreens and toppling off skyscrapers, Li Wei’s bizarre works are distinctive. 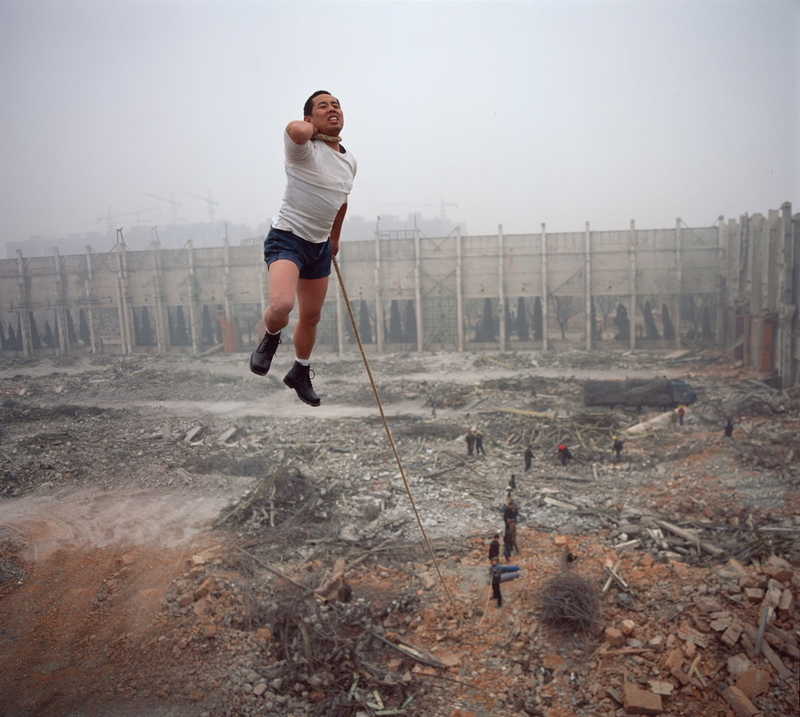 Li Wei was born to humble beginnings in 1970 in China in the Hubei Province in a countryside village located along the Yangtze River. 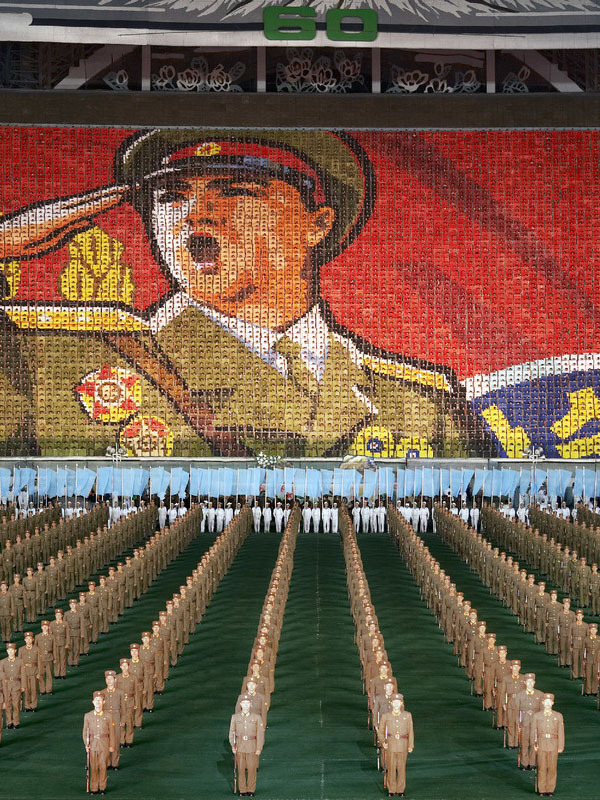 As a kid, he was always fascinated by nature, having been surrounded by fields of rice where he would play and explore. 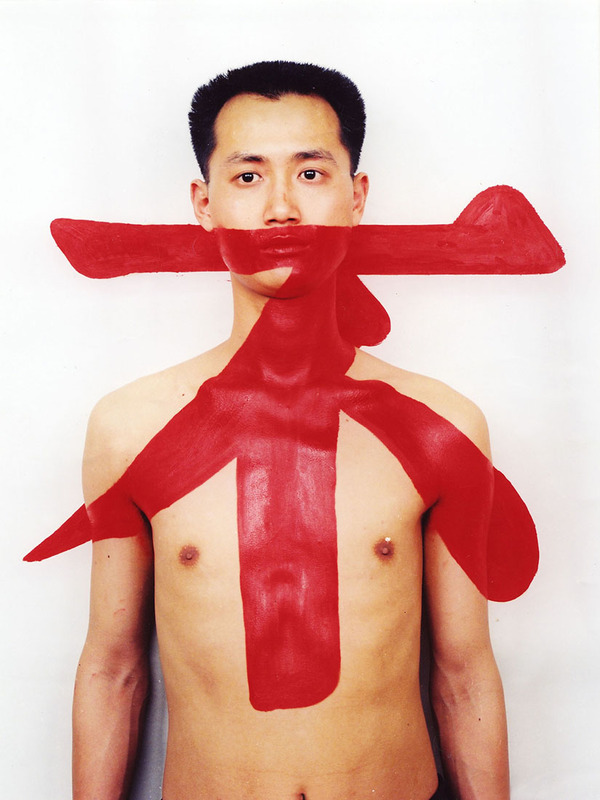 In college, he studied oil painting, but it was not until he moved to the East Village1, where he encountered legendary artists such as Zhang Huang2 and Ma Liuming, that his artistic direction begun to take shape. While at the East Village, Li came to observe that the monotonous rhetoric of painting is not what he aspired for his future and decided to give up on the medium completely. The performance elements that were common in the east village at that time are what led to his career as a performance artist, which was later followed up by photography. 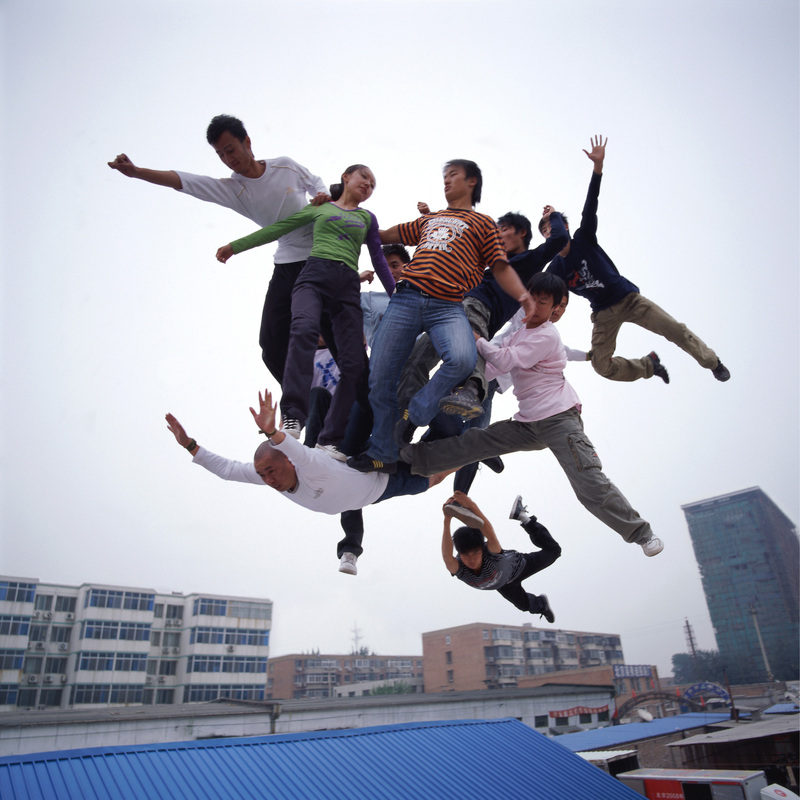 Today, Wei uses photography to express himself, but he also utilizes other mediums such as statues and videos. 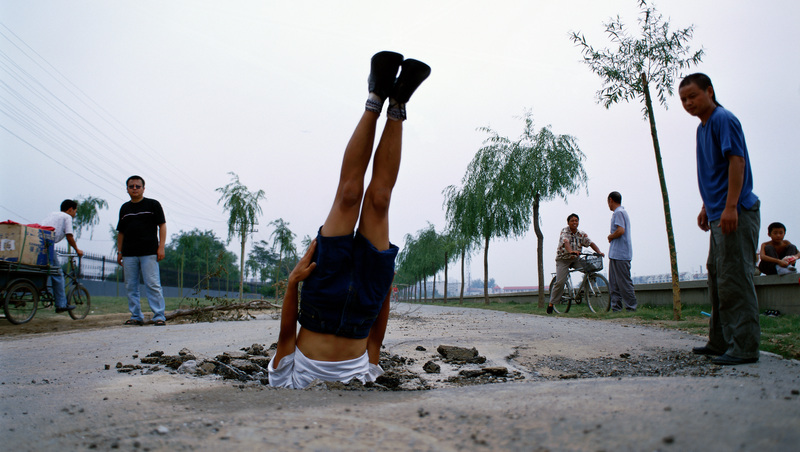 When he first started out, Wei would use mirrors to examine and play with reality. By using mirrors, he was able to create false superimpositions and syntheses in interesting ways that allowed him to express his personal thoughts and experiences while addressing the social issues that occurred in contemporary society. 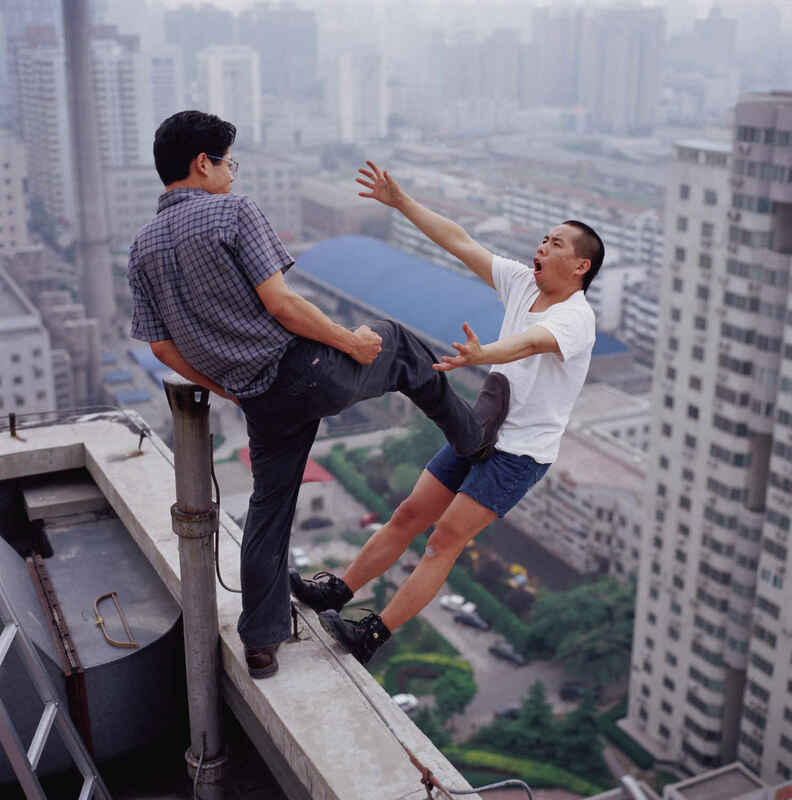 Most of the images he shoots are captured in real locations using his Hasselblad and Canon 5D Mark II cameras. 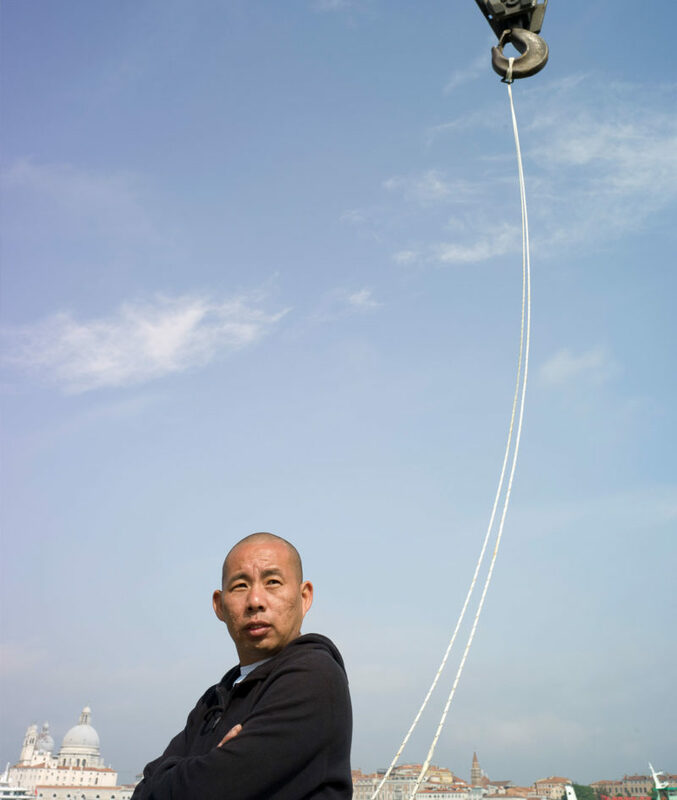 Li Wei also uses cranes, props, and assistance from a technical crew to pull off his concepts. 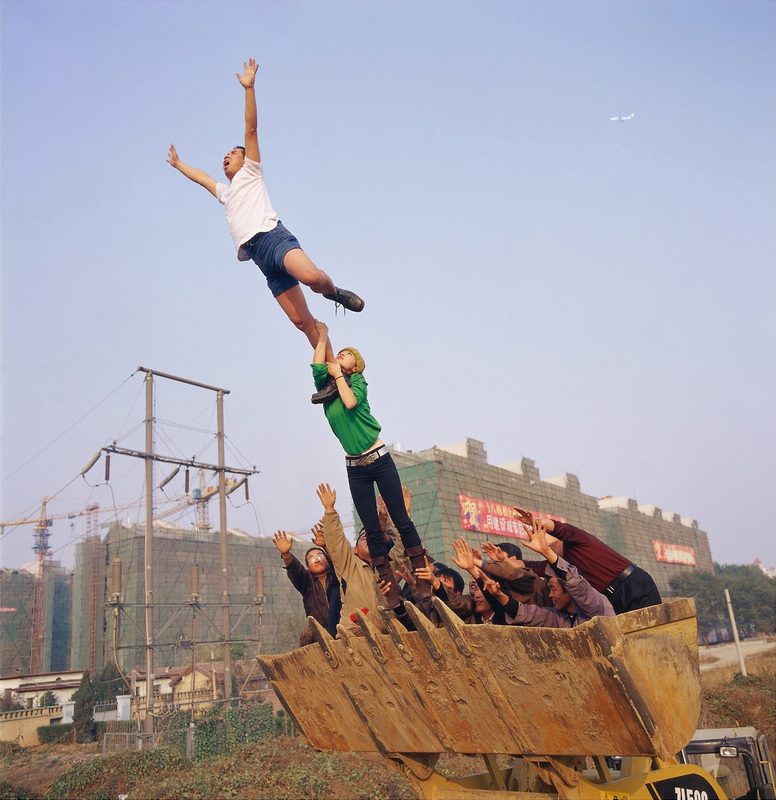 Often depicted in gravity-defying scenarios, his works are comprised of a perfectly balanced combination of photography and performance art. His installations also consist of videos that create illusions of a dangerous reality. Over the years, his unique works have been featured in many galleries and magazines. Though his work is often seen as humorous, it does a great of addressing a wide array of topics that span world politics to gender relations today. 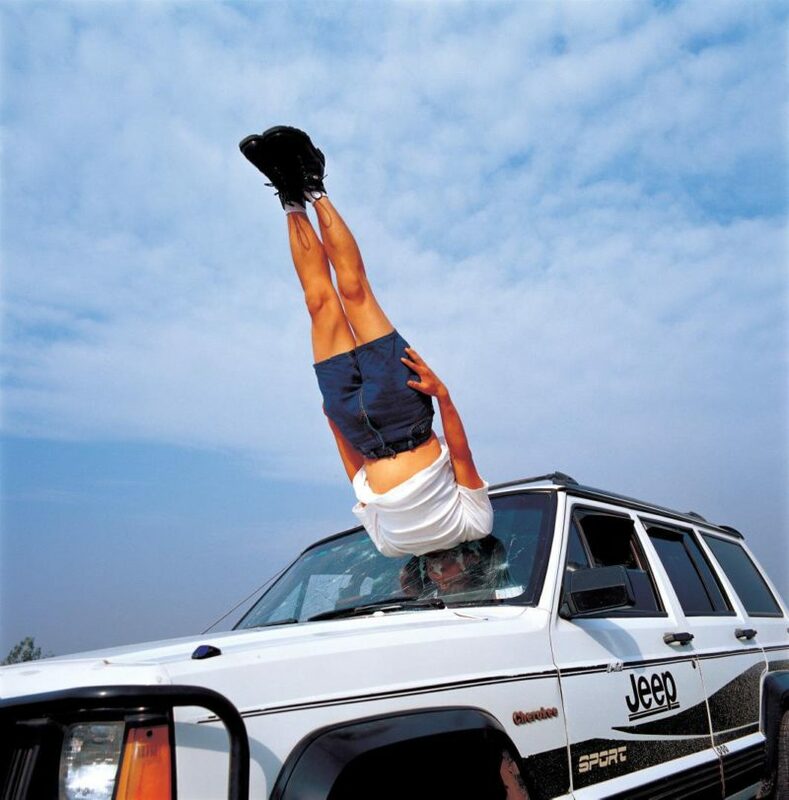 His popularity and rise to fame were catapulted by his gravity-defying Fall series which consisted of different scenarios that saw the artist bury his head in various sticky situations such as in the windscreen of a car, in a pile of books and newspapers, in Como lake, in walls, and so on. 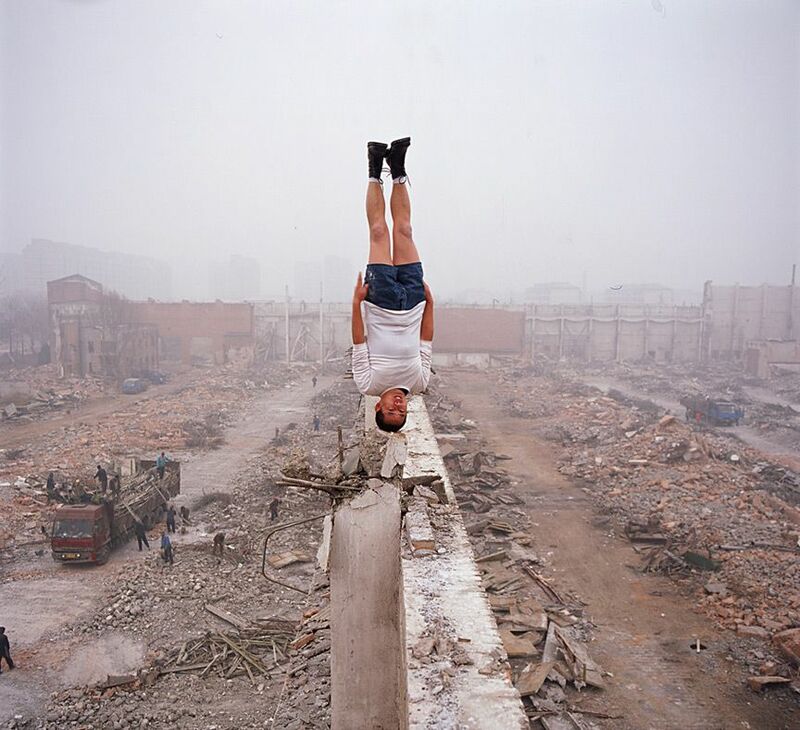 All images Li Wei/liweiart.com unless otherwise noted. 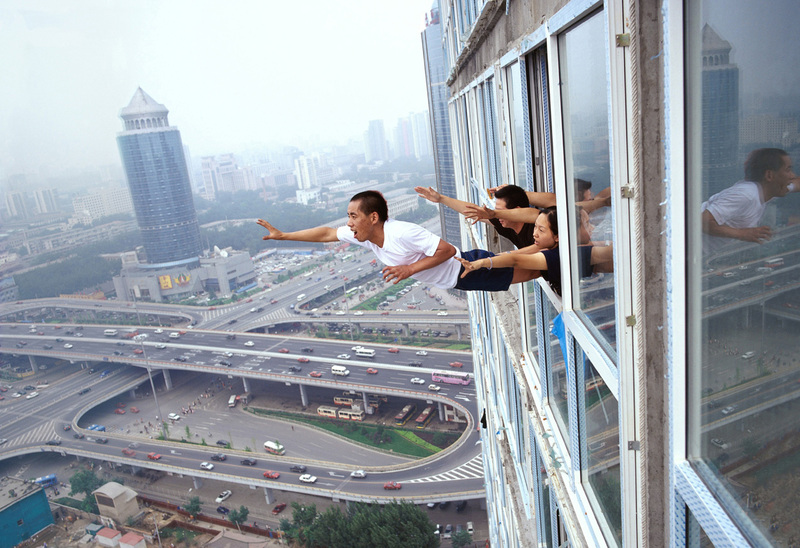 Home > Photography > Who is photographer Li Wei? 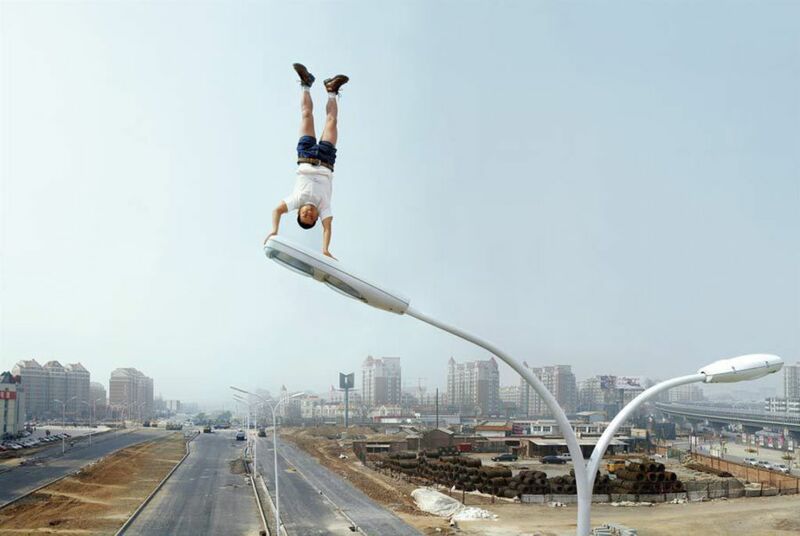 Posted on March 29, 2019	in the category Photography and tagged Art in China and by Chinese artists, Li Wei, Photoshop.